For a true mountain holiday, nothing beats a trip to the Rhône-Alpes region. 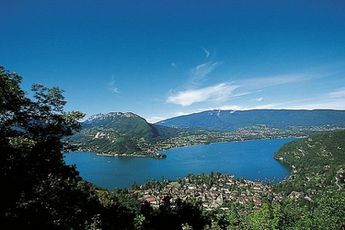 The Idéal Campsite offers you the opportunity to discover the charm of one of the deepest valleys in the region, which is also the gateway to Annecy and its world-famous lake (800m). A change of scenery and a large breath of fresh mountain air await you in the town of Lathuile and its surroundings, as well as the chance to relax or take part in water sports! 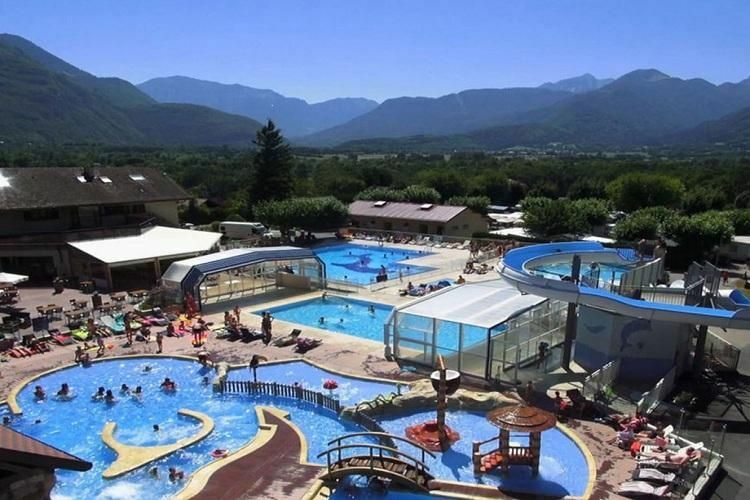 Located at the foot of the Mont Blanc, an hour from Geneva, Chamonix and the Jura Massif, the Idéal Campsite is an 'ideal' setting from which to explore the area. The Idéal team welcomes you and promises you a friendly, comfortable and relaxing stay. Come and take advantage of the large range of exhilarating outdoor activities. In the water park, enjoy splashing around in the fantastic pool with a flume and a fun area (with lagoon, lazy river, jacuzzis etc.). The Kids Mini-Club organises various activities for your young ones (painting, design, drawing, arts and crafts etc.). And for the older ones there are treasure hunts, mini-Olympics, sport (sports activities, water-polo, introduction to diving, tennis etc. ), video games and much more. On an evening, the team here at the Idéal Campsite invites you to take part in the karaoke party on a giant screen, bingo, the Miss Campsite competition and many other exciting activities. A small village in itself, the Idéal Campsite has all the amenities to make your stay even more enjoyable, such as a grocery, restaurant, Wi-Fi access and quality accommodation. Finally, the surrounding area is ideal for all sorts of outdoor activities such as paragliding, cycling, hiking or even canyoning. 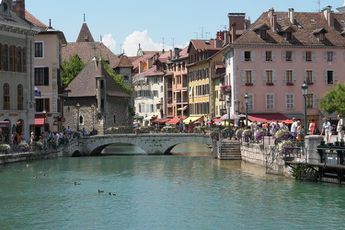 Annecy Lake is one of the most beautiful lakes in France. 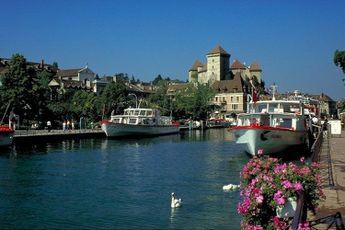 Surrounded by the Alps, it offers a wide range of water activities. The surrounding towns and villages will allow you to discover a rich cultural heritage and nature at its very best thanks to the location at the heart of the Bauges Massif Regional Park.